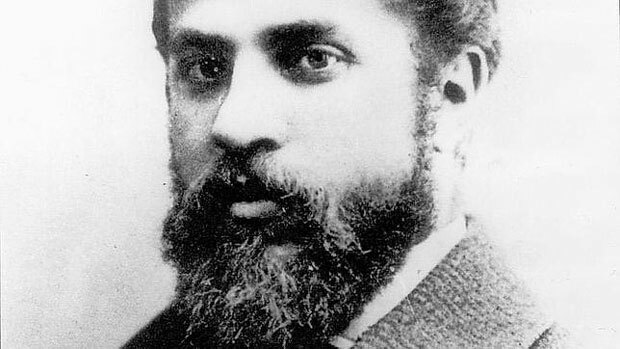 Son of a coppersmith, Antoni Gaudi was born in Spain on 25 June 1852. After completing his secondary education in Barcelona, Gaudi enrolled in Provincial School of Architecture in 1878. He had to wait for eight year to graduate due to interruptions made by military services. After completing his studies Guadi started off his career by setting up an architectural firm. The whole period of his practice comprised of changing styles of architecture. Initially he followed Victorianism which was of common practice in his school but soon deviated to Moorish style (Spain’s special style – a mixture of Christian and Muslims). He adopted a manner of composition which involved juxtaposition of geometric masses and put life to their surfaces with patterned brick or stone, gay ceramic tiles, and floral or reptilian metalwork. After experimenting much with these styles, Gaudi moved forward to historic style covering up Baroque and Gothic. With the passage of time his buildings started manifesting structure and materials on essential basis and soon he succeeded in proposing a new style with the name Equilibrated. This system omitted internal bracing from design and the whole structure was made to stand on its own without supporting elements like external buttresses. The system brought in elements like piers and columns with it that were tilted on purpose to carry diagonal loads and thin-shell, laminated tile vaults bearing small amount of force with them. This time is also called to be the maturation period of Gaudi’s work. Two projects that mark the success of Equilibrated style of Gaudi are the Casa Batlló (1904–06) and the Casa Milà (1905–10). Their floors were structured like clusters of tile lily pads with steel-beam veins. In his lifetime, an eccentric architect like Gaudi played an important role in Renaixensa, an artistic movement to revive the arts and crafts accompanied with a political movement “Catalanism”. The architectural style of Antoni Gaudi is identified for its vast variety forms, textures and polychromy accompanied with his eloquent and liberated way of composing these elements together. Gaudi had this skill of harmonizing complex geometries and architectural structures in such a way that the finished surfaces of his buildings used to give this look of a natural object completely under the influence of laws enforced by the mother nature. In 1910, Gaudi started acquiring an inclination towards religion and devoted all his energy for the Sagrada Familia, which he had begun in 1883. The level of his dedication for this project was so high that he even embraced death during the construction of this very project. On June 10, 1926, a few weeks before his 75th birthday, a trolley car hit Antoni Gaudi in Barcelona, taking the life of a zealous architect. After his death, the construction of Sarada Familia came to a halt, with only one transept with one of four towers built. Now the authorities have given the date of 2026 for the completion of this grand structure, marking the 100th death anniversary of Antoni Gaudi.